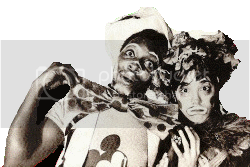 Godspell first opened off-Broadway and took place at Cherry Lane Theatre in New York City on May 17, 1971. But before that, it originated in 1970 as John Tebelak's master thesis project, under the direction of Lawrence Carra, at Carnegie Mellon University. Most of the score's lyrics were from the Episcopal Hymnal, set to music by the cast members. 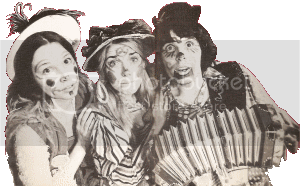 Tebelak then directed it for a two-week run at New York's experimental venue Cafe La MaMa, opening February 24, 1971. It caught the eye of producers Edgar Lansbury and Joseph Beruh, who then opened it off-Broadway at the Cherry Lane Theatre. The producers hired composer Stephen Schwartz, another alumnus of Carnegie Mellon's theatre department, to write a new song score. Schwartz's songs included a variety of musical styles, from pop to folk-rock, gospel, and vaudeville. As with the original score, most of the non-Schwartz lyrics were from the Episcopal Hymnal. Godspell eventually was moved to Broadway in June 1976, where it ended its run in September 1977 after an additional 527 performances. ~ Edgar Lansbury is the brother of actress Angela Lansbury. ~ Godspell is one of the longest running Off-Broadway productions. ~ Godspell had gained a total of more than 2,600 performances in NYC. ~ When Godspell went to LaMaMa, Jeffrey Mylett was the only cast member old enough to rent a truck to move the scenery into the theatre. ~ The song Day By Day from the original cast album reached #13 on the Billboard pop singles chart in the summer of 1972. ~ The composer Stephen Schwartz wrote many scores to films like Disney's Pocahontas and The Hunchback of Notre Dame, Dreamworks' Prince of Egypt, and for the widely popular Broadway musical Wicked.